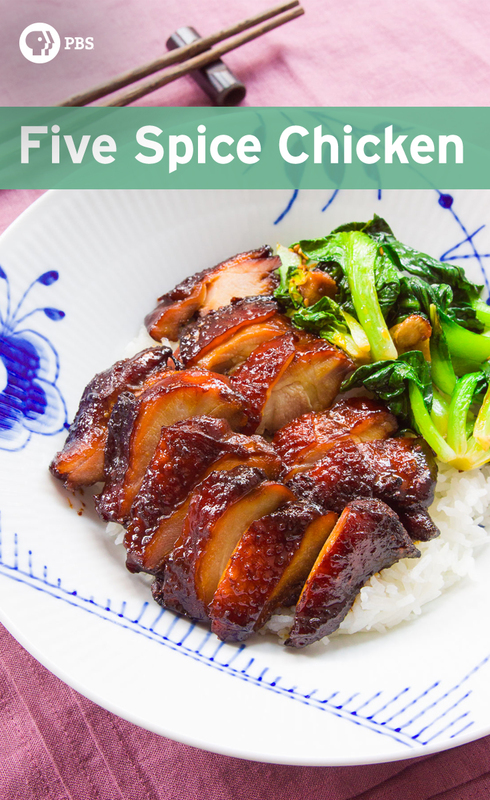 Chinese five spice powder is a blend of spices (often containing more than 5 spices) with the warm musty aroma of anise, cinnamon, cloves and pepper. 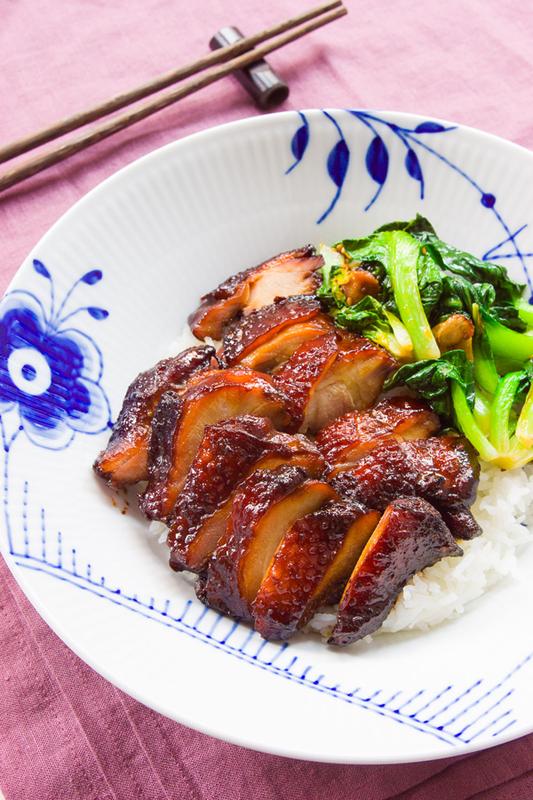 It’s a signature flavor of many Chinese dishes including Char Siu and Cantonese Roast Pork. 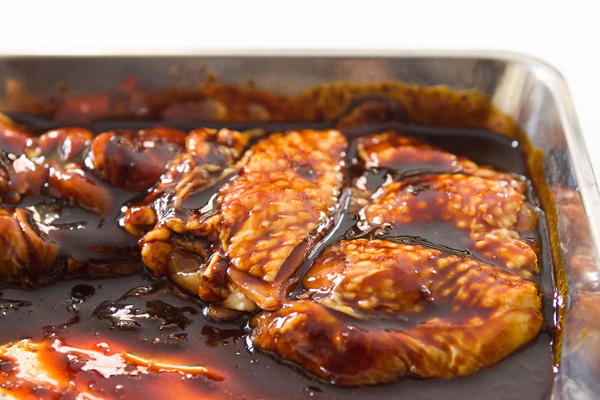 The addition of maltose (also known as rice syrup) to the marinade creates glossy glaze as the chicken roasts. While I prefer using maltose for its neutral taste and viscous texture, if you can’t find it, a neutral tasting honey will work as well. 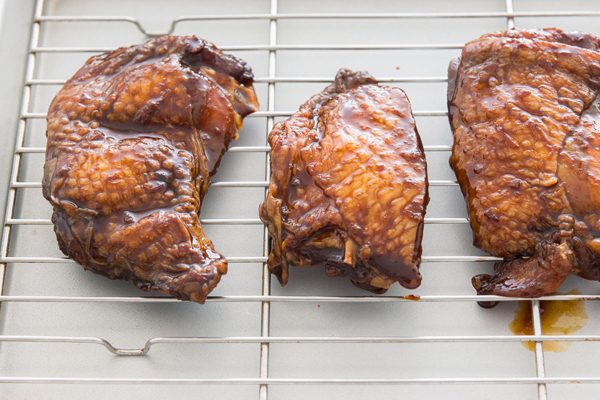 By marinating the chicken in the sauce for a day or two it not only imbues a stunning mahogany shade to the chicken, it draws out excess liquid, giving the chicken a firm, almost duck-like texture. 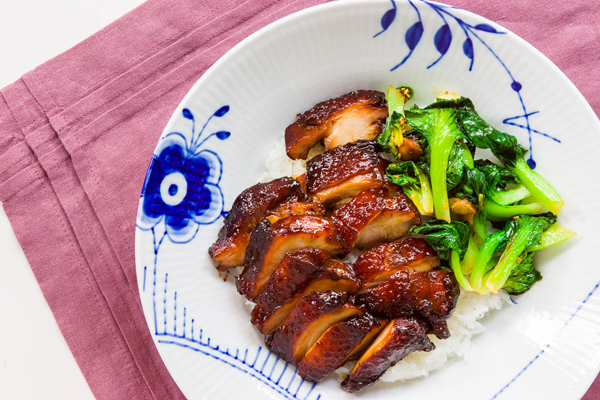 Serve this five spice chicken over a bed of rice with some sauteed greens. If you want some extra sauce to pour over the chicken and rice, you can boil the remaining marinade, skimming off any foam that floats to the top until it’s thick and glossy. Whisk together the dark soy sauce, hoisin sauce, maltose, oyster sauce, garlic and five spice powder in a small bowl until well combined. Pour this marinade over the chicken thighs, flipping them over several times to coat evenly and marinate for at least 24 hours, or up to 48 hours. When you're ready to roast the chicken, prepare a baking sheet lined with a wire rack, and preheat the oven to 390 degrees F (200 C). Adding a layer of aluminum foil between the rack and baking sheet will make cleanup easier as the sugar in the marinade tends to burn to the pan. Remove the chicken from the marinade and place on the rack, skin-side up. Reserve the marinade for basting. Roast the chicken for 6 minutes, and then brush the tops with some of the remaining marinade. Continue roasting for another 6-8 minutes, or until the edges are lightly charred and the chicken registers 160 degrees F on an instant read thermometer. 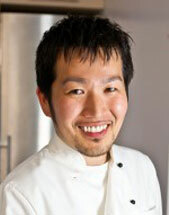 Remove the chicken from the oven and let it rest for 10 minutes before slicing and serving on top of rice.